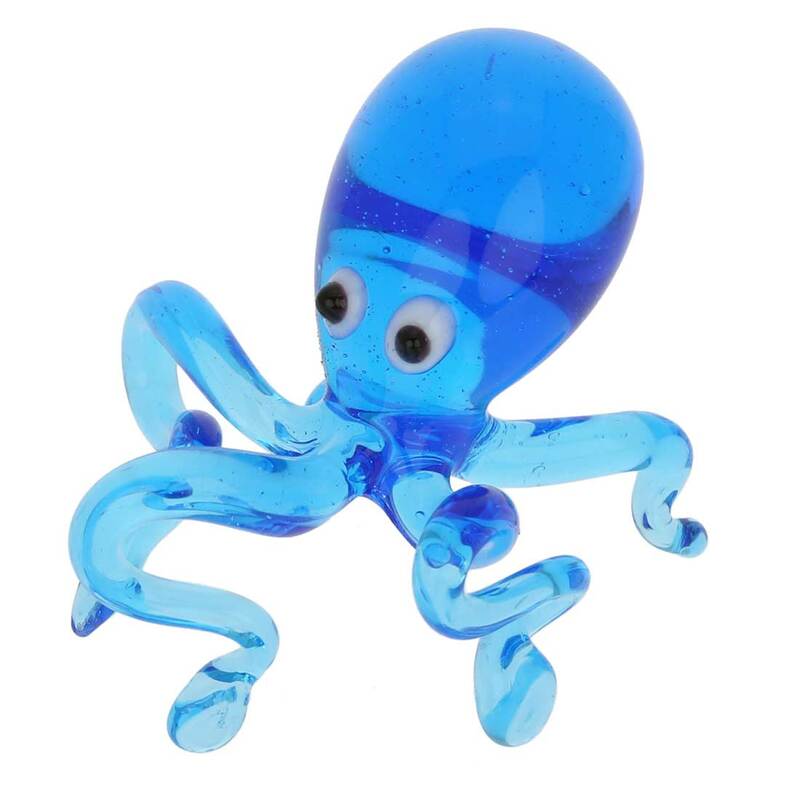 This exquisite Octopus figurine is a unique whimsical accent for any home or office. 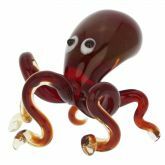 Handcrafted on Murano Island off of Venice, Italy, this little octopus is created in keeping with the ancient traditions of Murano Glass art. 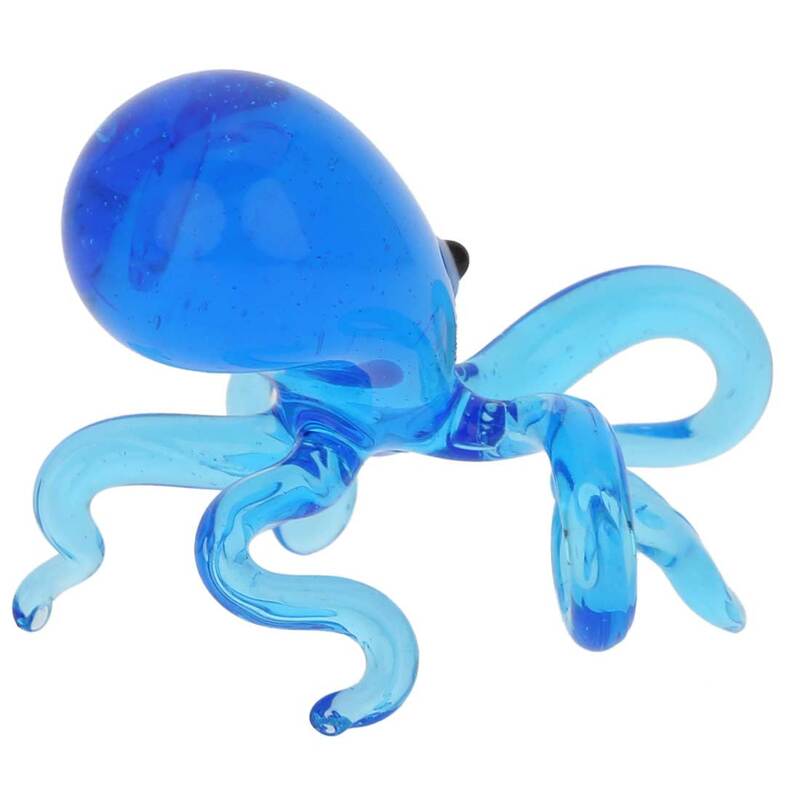 The octopus features deep blue color, bringing to mind the beauty of the Mediterranean sea, inquisitive eyes, and its delicate curving tentacles shaped by the skillful hands of the glass master look almost alive. 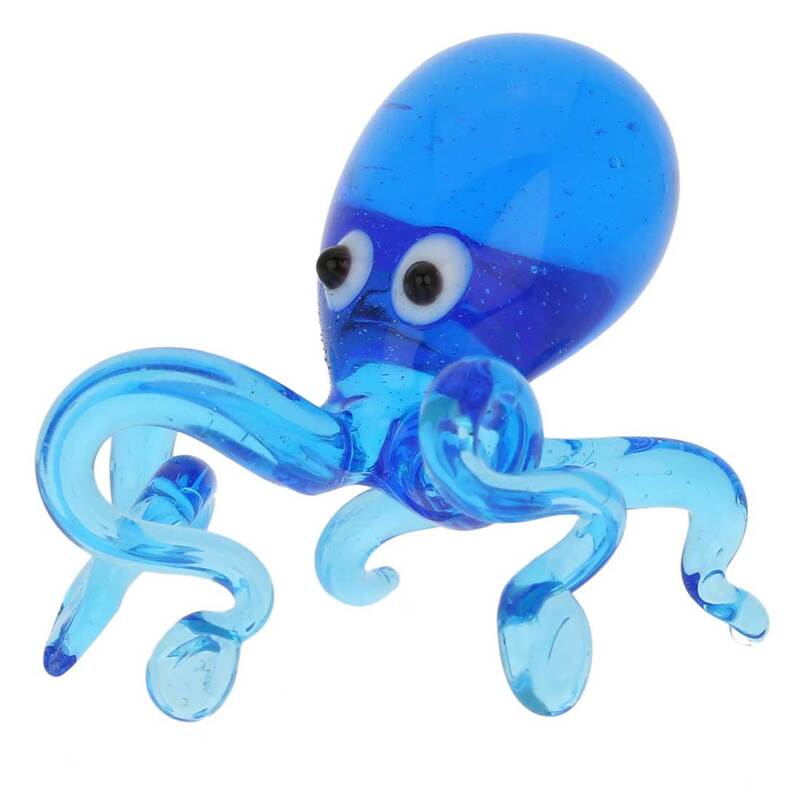 This delightful Murano Glass figurine makes a wonderful artistic gift to anyone who loves handcrafted home accents, cute figurines, or is a collector of sea creatures or Murano Glass. Measurements: The head of the octopus is 1 1/2 inches long and 1 inch wide. The longest distance between the tentacles is 2 inches. The octopus is accompanied by the certificate of authenticity. Because each Murano Glass piece is a unique work of art made by hand, slight variations of colors, patterns, and shapes are possible. Very pleased with speedy delivery. The Blue Octopus looks great! To be added to my wife's collection.